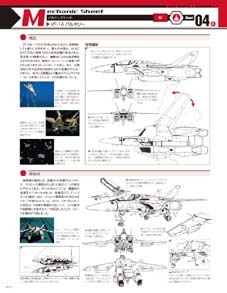 Mechanic Sheet will have some information on the VF-17 Nightmare of Diamond Force. 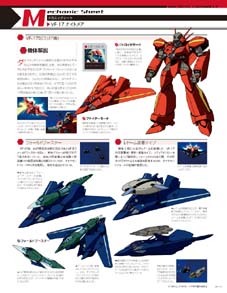 The default color is dark blue, but there is a red variant because Miria Falynna-Jenius commandeered Lt. Kinryuu's Nightmare for herself and adorned it with her colors when City 7 got separated from Battle 7 in the Macross 7 series. 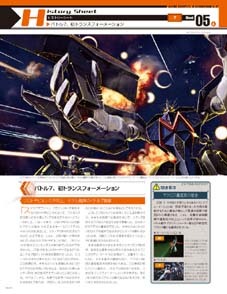 Lt Kinyruu got injured in the ensuing rescue operation. 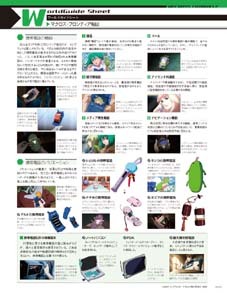 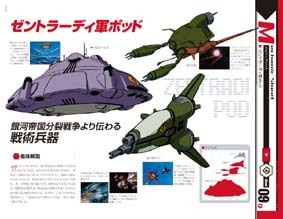 Also included is information on the Zentradi Army Pods. 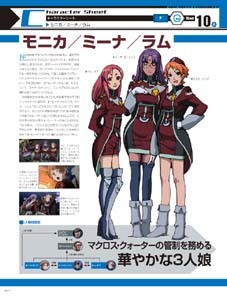 Character sheet features the dreaded 33rd Marine Fleet that was stationed at Galia 4 in the Macross Frontier series. 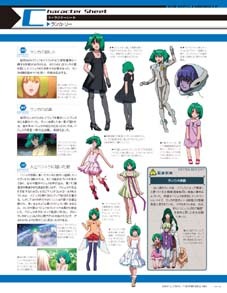 Also featured is Ranka Lee, Songstress of Hope, from the Macross Frontier series. 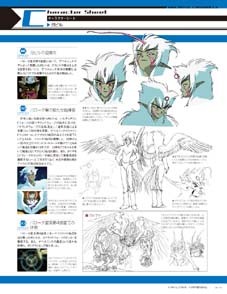 History Sheet will talk about the first transformation of Battle 7 from the Macross Seven series. 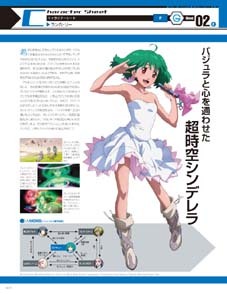 World Guide will discuss about life on the Macross Frontier fleet. 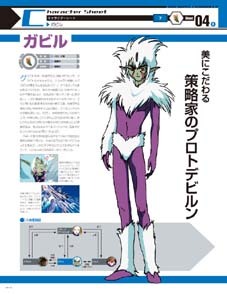 Character sheet will feature Gavil, a protodevlin antagonist from the Macross 7 series. 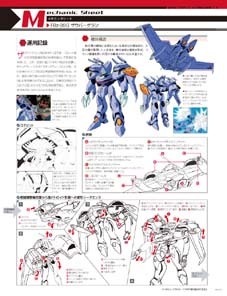 It was explained in the Macross 7 series that the gigantic Grabil and miniscule Gavil are actually one being that was separated into two independent forms. 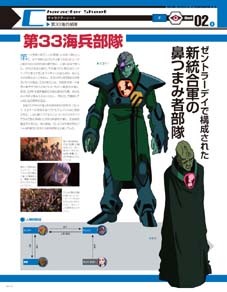 This kinda explains why Gavil can never be seen that far from Grabil and why it effects Gavil so much whenever any harm comes to Grabil. 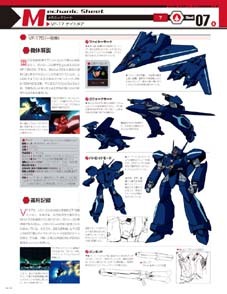 Mechanic Sheet will have the FBz-99G Zaubageran. 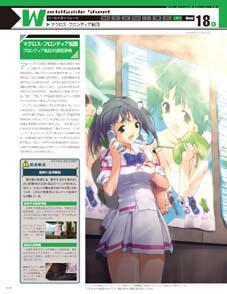 World Guide will feature the earth.